Extremely high removal rates and low hourly running cost are possible with low cost brass wires. Equipped with Linear motor drive with full closed loop linear scale positioning control without backlash, even when used for a long time. 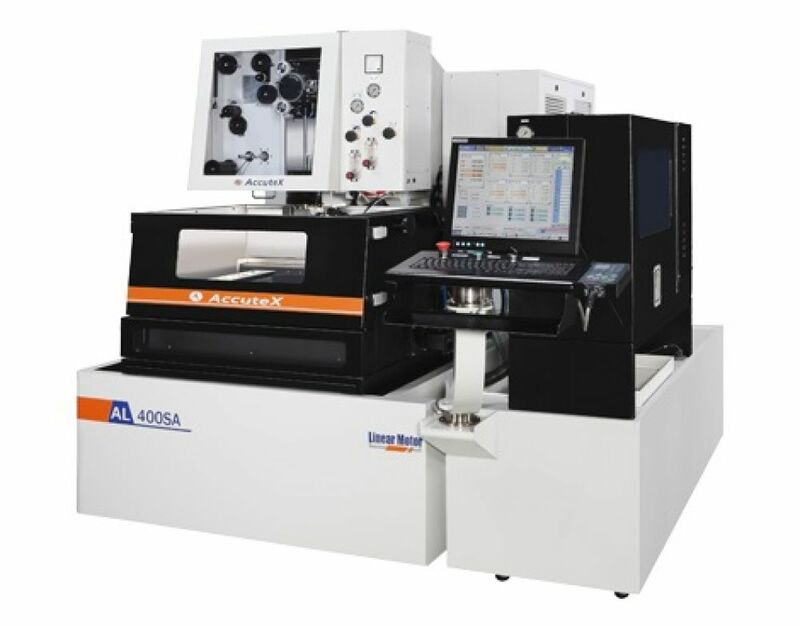 High repeatability accuracy, low friction loss and high efﬁciency. Non-contact power transmission ensures stable and accurate axis movement for many years. High response speed ensures of sensitivity in discharge gap control. Linear shaft motor utilizing a full 360° magnetic flux as the effective driving force reduces power consumption. The Linear Shaft direct drives are positioned in the centre of the moving weight for smooth movement. The machine has been designed using FEA analysis to provide a solid construction that guarantees good positioning accuracy and long-term precision. All axis are 3D laser calibrated to conform to ISO 230-6 standard.